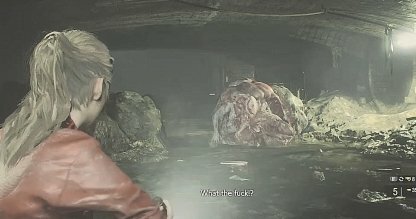 Check out this guide for a full walkthrough of the Claire Story (Sewers ~ vs. G 2nd Form) from Resident Evil 2, including gameplay tips, guides, and more! Use the Key Card to unlock the gate. Additional tips below. Make your way out of the Parking Lot, and into the chain-linked fence with the Zombies at the Door. Additional tips below. 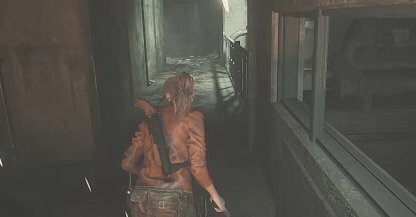 Get past the Zombies, and follow the walkway. Additional tips below. Once you are on the street again, head to the Basketball Court, and out of the other side. Additional tips below. Head to the bus on the right side, and enter through the side. Additional tips below. Once you exit the bus, the gate to the orphanage should be in front of you. Additional tips below. 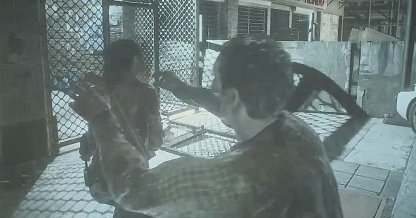 Head inside of the gate, and into the orphanage. Additional tips below. The Tyrant will appear once you get to the Parking Lot. There is no need to fight it. Run around the Parking Lot to create some space while the Gate is slowly being lifted. 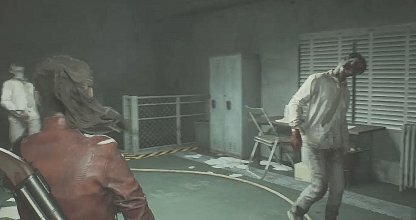 While heading for the Orphanage, you will encounter several enemies along the way. These include Zombies, and Zombie Dogs. It is recommended that you avoid combat, and only shoot at enemies in narrow paths. Run from the Tyrant with Sherry. Additional tips below. 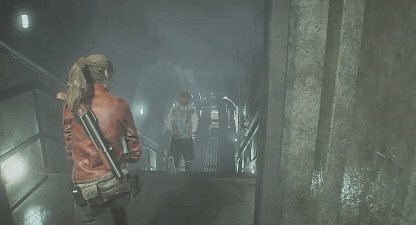 When the Tyrant is chasing you, just follow where Sherry is running, and you will find yourself in front of an elevator. 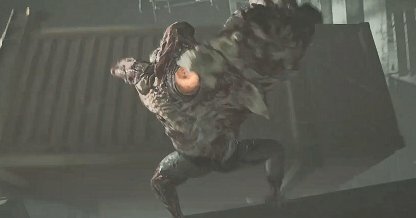 Get inside to trigger the cutscene and keep you safe from the Tyrant. 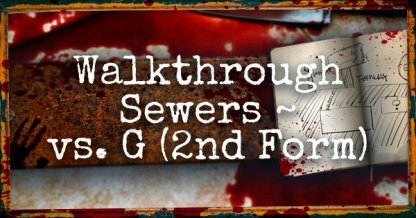 In the Lower Waterway, take the right path that will lead you to a room with 3 zombies. Additional tips below. 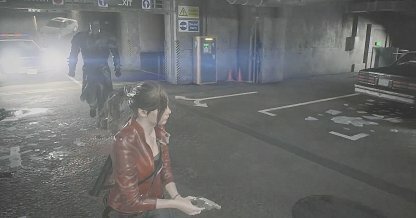 In the same room that you are in, you will find a note "Unlocking The U-Area Door"
You do not need to fight the Zombies in the room. 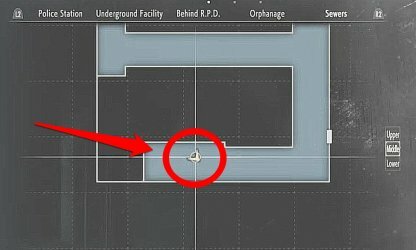 Instead, you can immediately jump down the ledge on to your right to get to the Monitor Room. Turn left at the end to receive the Tool by the Cable Car. Additional tips below. Open the safe to get the Reinforced Frame for the SLS 60. Additional tips below. Jump into the water and head to the Workroom Lift in the Lower Waterway. This leads to the Workroom. Additional tips below. After exiting the Workroom, there should be an Electronic Plug to your left. Additional tips below. Obtain the last two Electronic Plugs here, and get back to the Monitor Room. Additional tips below. The Tool can be found on the table next to the Cable Car. This area is just East of the Monitor Room. 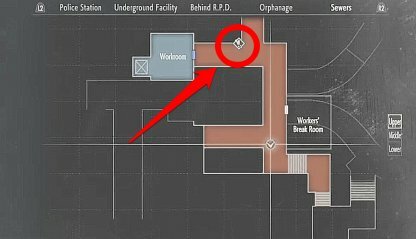 The Safe can be found on the South area of the map after leaving the Monitor Room. A Zombie will be near it, so take caution when approaching it. 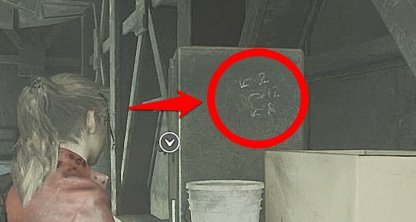 The combination to the Safe is found written on the side of the Safe. It is 2 counterclockwise, 12 clockwise, and 8 counterclockwise. When heading to the Workroom Lift, there will be a G along the way in the Sewers. You do not need to fight it, and will be able to slip past it. To open the door to the Workroom Lift, interact with the Blue Valve to use the Tool, and open the door to the Workroom Lift. The Workroom will have some ammo for you to resupply. 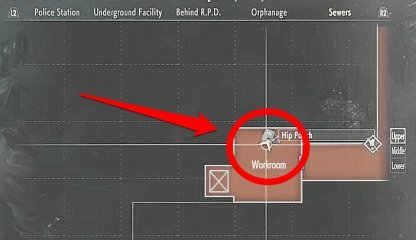 It will also have a Hip Pouch on one of the Desks to help you increase your inventory capacity! The Electronic Plug can be found on the left side of the walkway once you exit the Workroom. Taking it will cause the bridge to its right to raise. The Queen Electronic Plug can be found in the Supplies Storage Room. It is connected to the Power Box with a Queen Chess Piece on its cover. 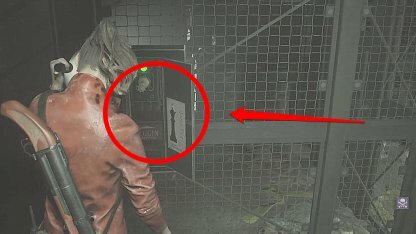 The King Plug is found on the second floor of the Supplies Storage Room. It is in the room right behind a hunched over Zombie. 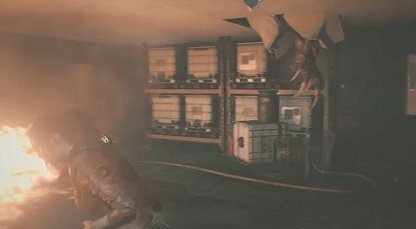 The Spark Shot will be locked in a room inside the Supplies Storage Room. 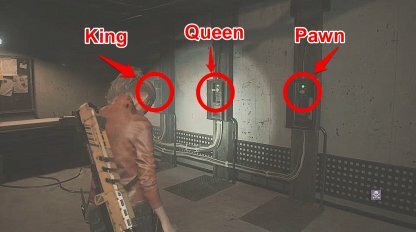 You will need to use the King and Queen Electronic Plugs to unlock the door, and get it. Once in the Monitor Room, solve the Puzzle to unlock the door. Additional tips below. 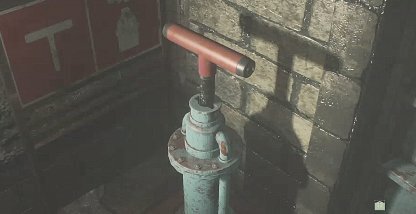 Solve the Switch Puzzle to bring back the power. Additional tips below. Defeat G (2nd Form). Additional tips below. 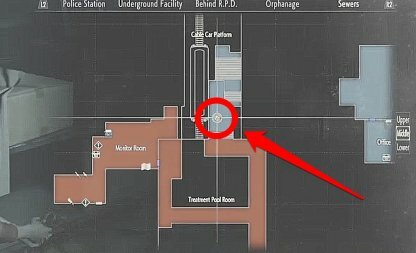 The image above shows the Solution to the Puzzle in the Monitor Room. The left side's order from left to right is Bishop-Rook-Knight. The right side of the Puzzle's solution is shown as follows: from right to left, King-Queen-Pawn. 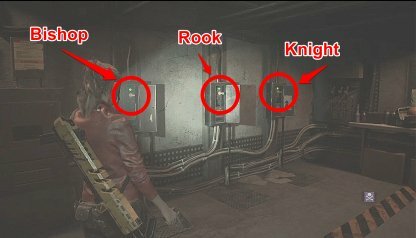 In order for you to restore power, you will need to head to the Main Power Room and solve the Switch Puzzle. 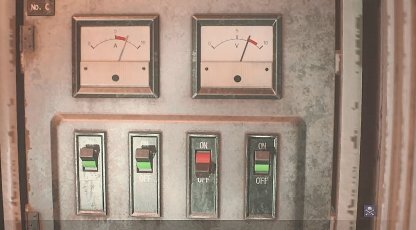 The solution is to flip the corresponding switches in the picture. G (2nd Form) will attack you by drilling holes in the ceiling. Keep moving around the room so he won't be able to hit you. You will have a small opening after G (2nd Form) breaks down the door. Run past him, and lead him to the crane area. Hit the left button to move the crane out of the way. This will give a more open area to fight G. Cripple him by shooting his weak spot: the eye on his shoulder. 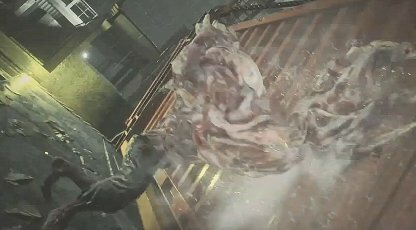 You will have a chance to hit G (2nd Form) for massive damage. When he is downed, and at a vulnerable state, hit the right button on the machine to send the crane flying into the vulnerable G! After initially hitting G with the Crane, he will still be standing. 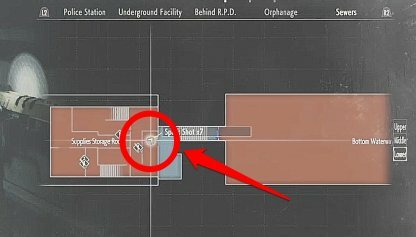 You will be able to kill him a second time after successfully repeating Steps 3 and 4.